I’m usually a fan of blended malts. Despite being an awkward, little-known category that’s hard to explain to newbies, blended malts fix a lot of what’s wrong with blended scotch. By removing the cheapest, lowest-quality ingredient (usually barely minimum aged (3 years) grain whisky) but keeping the creative and balancing act of skillful blending, a carefully-made blended malt can be ethereal and also superior to more-lauded single malts. Just look at Compass Box for examples. Sometimes, though, the script is flipped and that inexpensive grain whisky is simply replaced by similarly-wretched 3 year-old single malt sourced from the budget secondary market. The proof is usually found in the price, as the only reason to add budget malt to a blended malt is to keep the price down to entice customers used to paying bottom-dollar for blended scotch. OK, that’s not the only reason, but the exception (a high-quality, ready-to-drink cask at or near 3 years old) is so rare it’s not worth arguing about. 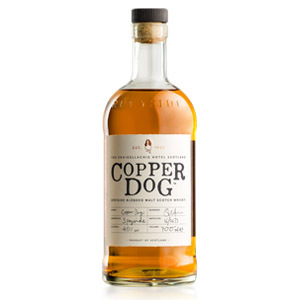 Copper Dog is a blend of 8 single malt scotch whiskies, all from the Speyside region of Scotland. 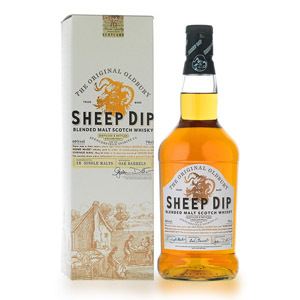 It is produced in association with the pub that shares its name, located in the historic Craigellachie Hotel in Speyside. The name of both the whisky and the pub refer to a makeshift device once used by distillery workers to illicitly sample and carry whisky from maturing casks. 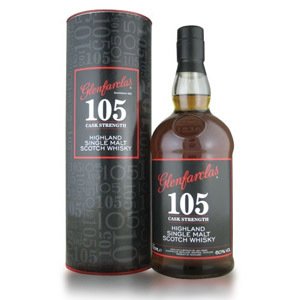 The whisky has no age statement, and is bottled at the legal minimum 40% ABV. There is little information about the source whiskies, except that they come from a variety of cask types and are married in ex-bourbon hogsheads. I did find an interview that revealed that Knockando, Roseisle and Inchgower are included. 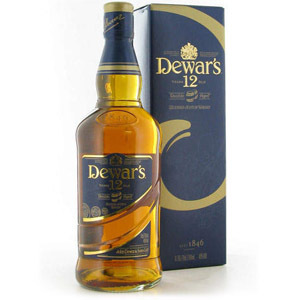 Nose: Lemony, with a strong scent of lemon peel, tart – but sweet – malt, and not much else. Palate: Thin body, and quite watery. Lemonade, roasted peanuts, and toast. A total absence of tongue burn. This would be quite tasty if it weren’t so watered-down and bland. Finish: Short. Slightly bitter, with a lot of charcoal. This is balanced somewhat by nutty, sweet malt… like peanut butter-flavored candies. Fades quickly and abruptly without evolving. With Water: Really? Water? Ok, I’ll try it for consistency’s sake… A scant few drops of water muddy the previously clear lemon note on the aroma, and predictably render the palate even more bland. I suppose there is an additional note of pound cake (or marshmallow?) on the tongue and finish, but it’s not worth the extra dilution. Overall: Meh. A few nice notes that are belied by a bitter finish and completely washed out by an overeager hand with the bottle-proofing water. I actually checked, twice, to be sure this wasn’t under 40% ABV. The blending is well-done for a sub-$40 blended malt, but I find Monkey Shoulder (which has its detractors, I don’t deny) to have much more flavor for the price.